They say it takes a village to raise a child, and that’s exactly what we did. The Early Learning Village brings together specialists and educators who are trained in all aspects of early years, to give your child the best start to learning. Whether it’s through the Suzuki Violin Program, Daily or Bilingual Language (Mandarin or Spanish) or physical education, your child will be taught by a team of dedicated specialists from around the world. Speak to our Early Years Specialists at our next Open House on May 3rd! There is 'no-one-size-fits-all' approach when it comes to the journey of learning. 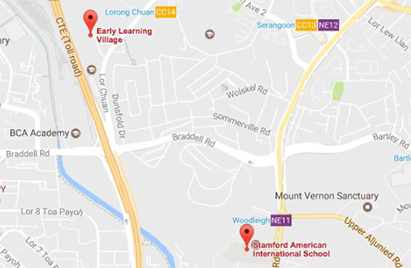 With the aim of inspiring each student to create their unique future, Stamford welcomes students from diverse backgrounds and tailors the education pathway to their ambitions. We are inclusive and offer students to study the best of both worlds; the International Baccalaureate (IB) combined with the Advanced Placement (AP) courses. In our commitment to inspire students to create their unique future, our students are allowed to choose any of the three curriculums they wish to pursue. All students are granted a US accredited Stamford High School Diploma alongside the opportunity to pursue the International Baccalaureate (IB) or Advanced Placement (AP) Diploma. Reserve your spot today for an Open House to find out more about the different education pathways on May 10th.